We develop and manufacture leading edge SPM probe tips, characterizers and a variety of silicon based 3D-MEMS components. 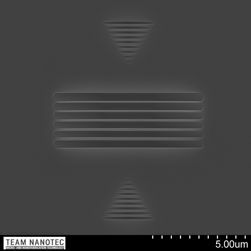 Team Nanotec GmbH was founded in 1997 as an IBM Germany spin-off. 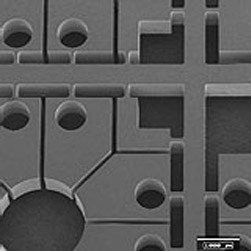 Our team combines unique research and manufacturing skills with extensive experience in micro- and nanofabrication technology. 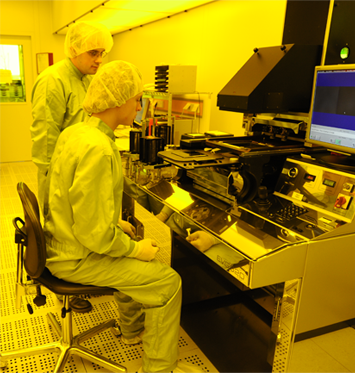 Customers benefit from our extensive experience in micro- and nanofabrication technology. We have pioneered stencil mask technology and the batch fabrication of silicon SPM probe tips and tip characterizers. 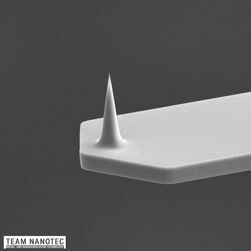 We offer a wide variety of scanning force microscopy probe tips for imaging, metrology, and material characterization, to name only a few. Beside our standard products, we develop and manufacture customer specific cantilevers and probe tips. For quantitave 3D AFM the precise tip shape of the AFM - probe needs to be known. For the characterization of probe tips we offer a variaty of probe tip characterizers. A typicall application example is scanning an I²FSR with a CDR - probe to determine the shape of the probe. 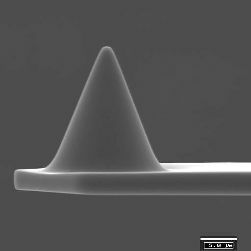 Aspire™ AFM probes are conically-shaped AFM tips for general purpose usage. Made of high quality single crystal silicon, the Aspire probes are robust and offer long imaging life. Probe geometry plays an important role when imaging surfaces. Uniform tip shapes guarantee the acquisition of symmetrical images. Using MEMS technology we fabricate beam shaping apertures with well controlled profiles, extremely smooth sidewalls, very small corner radii and precise dimensions. Typically silicon, silicon nitride, metals or combinations of these and other materials are used to form the aperture.